Next month, Holland America Line will debut the ms Koningsdam, a spectacular debut for the line’s new Pinnacle Class of premium ships. 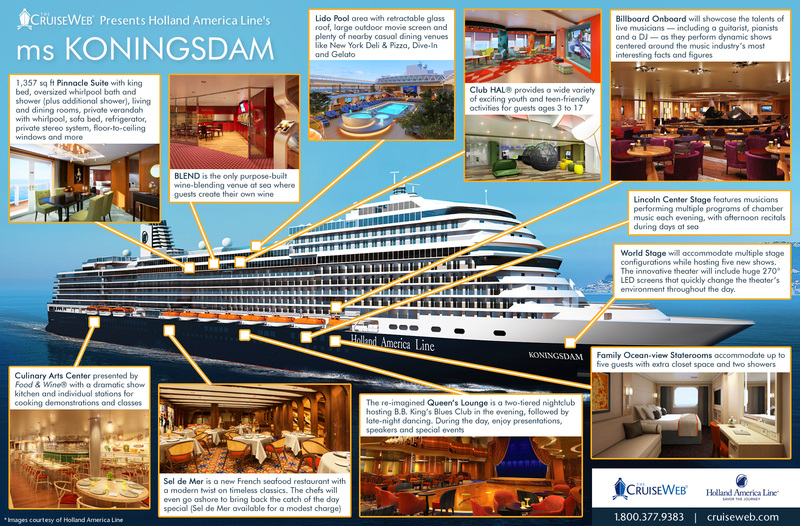 The 2,650-guest Koningsdam will feature a variety of new amenities, entertainment venues and specialty dining options, many of which are highlighted in our new infographic below. The ms Koningsdam will begin her sailing career with a variety of European voyages departing from either Rome or Amsterdam, before moving to the Caribbean for the winter. Which of the Koningsdam’s features most interests you? Hi Ludmila! 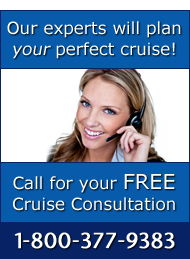 Thanks for your request for cruise information, I would love to help you with your cruise plans. As a professional travel agent, I like to get to know my clients, their likes and dislikes, so that I can create a vacation experience that is totally you. Every cruise line and every person is different, so it’s really important to make sure you are booking the right cruise to meet your expectations. With that in mind, I would suggest we chat on the phone to discuss your plans in more detail. I am in the office Monday to Friday from 10:30 a.m. to 6:30 p.m. EST. Is there a day or time that works for you? Awesome!dreaming of cruising on this ship,and this will be my second trip on holland and american line.i did enjoy the last one.